This event is co-sponsored with the Global Taiwan Institute. This event is free and open to the public and media. Climate change is as much an environmental issue as it is a national security concern for Taiwan. While Taiwan is not a member of the United Nations, its energy policies are guided by the Paris Climate Accord. 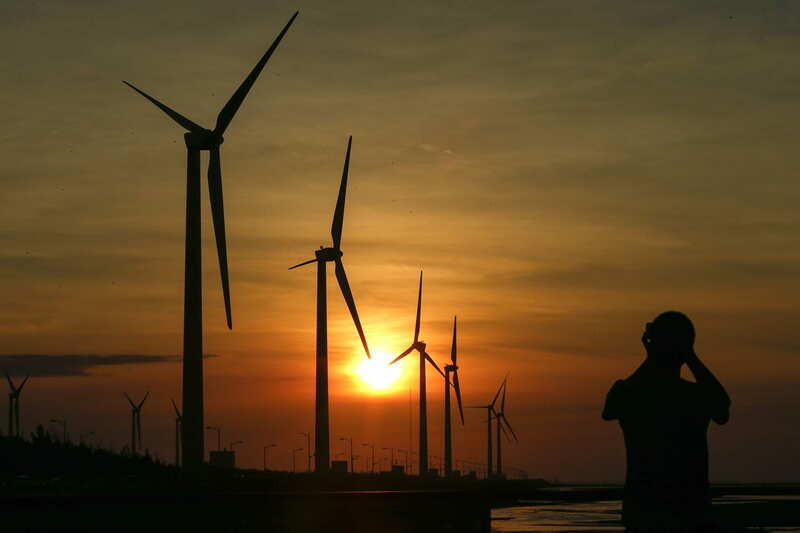 Although Taiwan was not even among the top 10 countries for offshore wind in 2017, it is now leading the way in Asia through partnerships with several European companies, which see Taiwan as an entry to the Asian offshore wind power market. 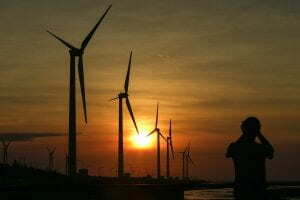 Taiwan’s recent push towards renewable energy follows the 2011 Fukushima Disaster in Japan. In the aftermath of that disaster, public opinion in Taiwan shifted dramatically against the use of nuclear power due to its potential danger. President Tsai Ing-wen was elected into office in 2016 on a promise that Taiwan will become “nuclear-free” by 2025. Yet in 2017, the island experienced significant power outages that raised some doubts about the viability of the government’s ambitious plan for Taiwan’s energy future. Please join the Global Taiwan Institute and co-sponsor, The Sigur Center for Asian Studies at George Washington University, on July 24th to explore the future of Taiwan’s energy. This event is the third installment of the Civil Society and Democracy Series, which is partially funded by the Taiwan Foundation for Democracy. The panelists will discuss Taiwan’s policy and opportunities in sustainable energy, how it will impact the Asia-Pacific region, and what it means for US interests. Doors will open at 12:00 PM. A light refreshment and snack will be served, and the event will begin at 12:30 PM. Kindly RSVP by July 10. Please direct questions or concerns to Global Taiwan Institute Program Associate Marzia Borsoi-Kelly. ** Media that would like to bring additional crew members or equipment, please contact Ms. Borsoi-Kelly directly. Wen-Yu Weng is a low-carbon energy and sustainability consultant. Currently based at the Carbon Trust in the UK, she delivers and designs low-carbon strategy and implementation projects in Southeast Asia, East Asia, the UK, and other European countries, working closely with local partners, governments, the private sector, and international organizations. She has particular interests in solar and wind energy, storage and grid issues, energy policy, circular economy, green finance, and the application of IT innovations for a low-carbon future. Outside her environmental consultancy and research work, Wen-Yu co-founded the Emerging Leaders Program at the Caux Dialogue on Land and Security in Switzerland, and is also the Co-founder of the non-profit Taiwan Debate Union. She received her M.Sc. in Environmental Policy from the University of Oxford, as well as a M.Sc. in Development Studies from the London School of Economics and Political Science. Clara Gillispie is the Senior Director of Trade, Economic, and Energy Affairs at the National Bureau of Asian Research (NBR). Her subject-matter expertise focuses on shaping program and research agendas on energy security, trade and innovation policies, public health and the environment, and geopolitical trends in the Asia-Pacific. Prior to joining NBR in 2011, Ms. Gillispie served as a consultant for Detica Federal Inc. (now a part of BAE Systems), where she conducted program assessments and policy reviews for US government clients. She has also worked both at the US House Committee on Science, Technology, and Space and the American Chamber of Commerce in the People’s Republic of China. Ms. Gillispie graduated from the London School of Economics and Peking University with a dual M.Sc. in International Affairs. Prior to her graduate studies, Ms. Gillispie received a B.S. from Georgetown University and attended Sophia University in Tokyo, Japan, for language training. Lotta Danielsson is the Vice President of the US-Taiwan Business Council. Lotta’s duties include membership retention and development, research on current Taiwan policy issues, and research to identify the needs of U.S. businesses in Taiwan. She oversees all member products and services, and manages the development of new value-added membership services. She also oversees all events and conferences, and she has planned the annual US-Taiwan Defense Industry Conference – which serves as an important platform for bilateral dialogue on Taiwan’s national security and defense needs – since its inception in 2002. As a student in the three-year International MBA program (Chinese Track) at the University of South Carolina, Lotta spent 19 months studying Mandarin Chinese in Taipei, Taiwan and in Beijing, China. Lotta also holds a Bachelor’s degree in Anthropology from Georgia State University.